Once you get past the sheen of this package, get past its subtle commercialism and pluck up the courage to put on the disc, you find yourself catching your breath. I did because I knew Daymé Arocena’s music from not too long ago. 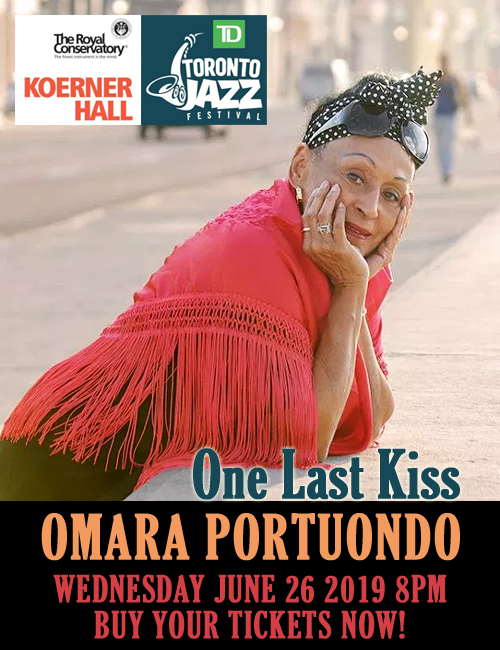 She has not recorded much and already I have a very real sense that this is the music she has been yearning to make since this is something that she always knew she would grow up to become: chanteuse, Cuban diva, iyawo to the Orichás. The Afri-lectric grandeur of her smoky contralto unfolds upon the senses with such elemental power that you fall prey to its charms almost immediately. The spell that Daymé Arocena puts on you can make you almost embarrassingly glib. But this is a slick production of her first solo endeavour. The music seems to come from deep within Ms. Arocena. She sings as if prompted by a resident spirit. Her long plaint lines flow one into the other as if expressing the interconnectedness of all things. Gloriously crafted melismas inform the lyricism. Sensuous glissandos appear to soar in the solitary splendour of a condor. Some lines lie low, then spring like hungry metaphorical jaguars. You are drawn into this vortex of activity as if an opera held together by a single character is unfolding before your eyes and you are irresistibly and mercilessly drawn into its cathartic wind-tunnel. The music on Nueva Era is characterised by its directness, the sonic purity of its gestures. Scored largely for voice and percussion both offer a musical meditation of faith and humanity. All of the music here is heard for the first time, typical of Daymé Arocena’s most recent work (with Jane Bunnett and Maqueque) a distillation and crystallisation of a singular style that has become ever cleaner and texturally refined. Setting the Cuban story of yearning for righteousness and new respectability the work finds a harmonic astringency to balance its yielding, unbending instinct to melody. Chant meets human cries; ecstatic chorale-like songs break through scuttling chromatics in a performance whose precision and restraint only heighten its intensity. 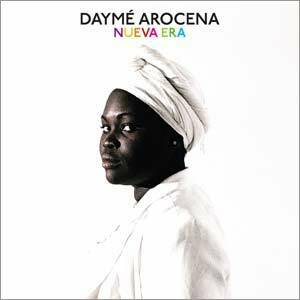 Daymé Arocena and producers Simbad and Gilles Peterson always find something exciting in this new music that is peppered with well-trodden polyrhythms and words such as “Nueva Era”, “Drama” and “Madres”. Their recording is made using just intonation rather than borrowed temperament. What might sound like a gimmick exposes new colour in the composer’s leaping score, each note glowing with harmonics and overtones, voices and instruments ringing like struck bells. This is a masterful recording. With apologies to the cover design, there is nothing stark or white about this musical purity, which finds kaleidoscopic depth in the most magnificent of palettes. Track List: Madres; Drama; Sin Empezar; Don’t Unplug My Body; Dust; Come To Me; Crystal; El Ruso; Niño; Nueva Era. 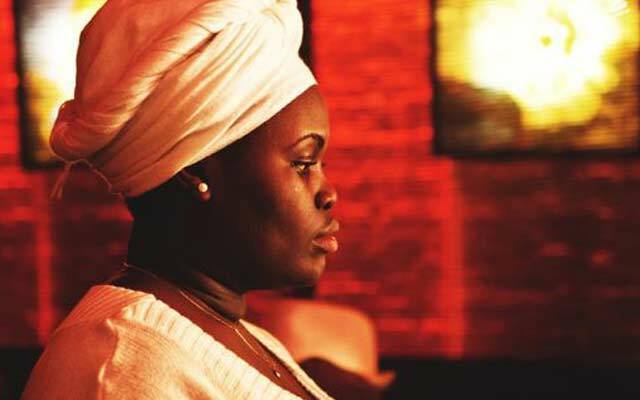 Personnel: Daymé Arocena: vocals, campana, shakers, piano and B3; Simbad: thumb piano, bass cajón, cajón, djembe, shakers, brushes, small percussion, Wurlitzer, CR-70 and B3; Oli Savill: bongos, congas, cajón, batá and shakers; Rob Mitchell: piano; Neil Charles: double bass; djembe: Maitre Samaou; Yelfris Valdés: trumpet and flugelhorn; Maria Julia Nuñez: hand percussion and batá; Julio Cesar Gispert: timbales; Omar González: double bass; Miguel Angel de Ármas: congas; Adriel Valdés: congas; Yasek Manzano: trumpet; Flora: piano tuner.